Background noise nearly to 0. 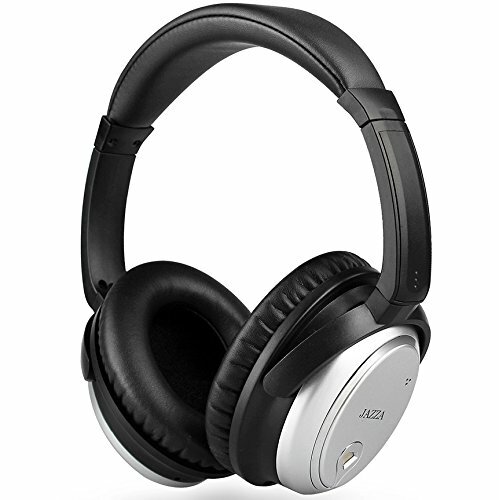 It can solve the big problem of troubling the biggest silent background noise of the noise cancelling headphone. With the design of all cover earmuff, with the imported sponge, comfortable and long wear no fatigue.Designed of separating the line and the headphone. When only used for noise cancelling, can pull out the connectors to prevent the problem of the line hybrid. Included two pin of transfer aircraft plug, it can be used for the media system when you are the airplane. It is the exactly airport noise cancelling headphone. If you have any questions about this product by JAZZA, contact us by completing and submitting the form below. If you are looking for a specif part number, please include it with your message.